Searching for a new Nissan Rogue Sport for sale near East Hartford? Then you’ve come to the right place. Here at Manchester City Nissan, we offer a wide selection of new Rogue Sport models to choose from. Whether you’re looking for a Rogue Sport S with the grip of all-wheel drive and an automatic emergency braking or a Rogue Sport SL with stylish 19-inch aluminum alloy wheels and a Nissan Navigation system, you can count on Manchester City Nissan near Vernon to have a new Nissan SUV with the options you’re looking for at a competitive price. 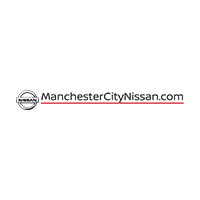 Here at Manchester City Nissan, we offer a large selection of new Nissan models to choose from so drivers in South Windsor can rest assured they’ll be able to find a vehicle with just the right features at an affordable price. Our friendly sales staff will guide you through every step of the journey towards owning a new Nissan Rogue Sport. You’ll get an unbeatable deal with flexible financing options and our well-trained service technicians will take care of you long after the sale to ensure your Rogue Sport is always running like new. Once you’ve browsed our inventory it’s time to get behind the wheel for a test drive. Contact us today with any questions regarding our inventory or to schedule a visit to our showroom in Manchester.